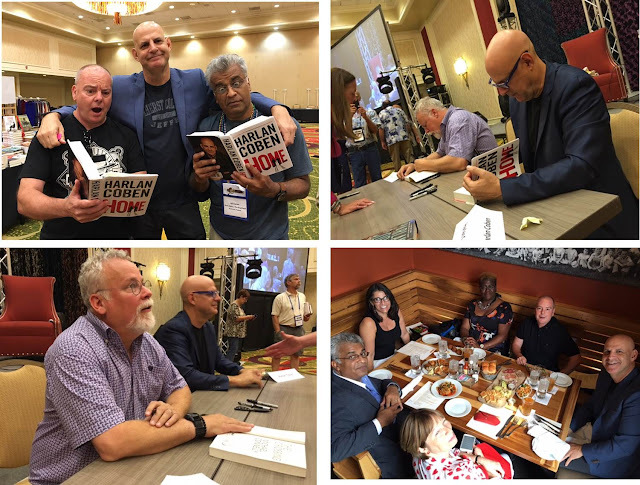 The Shots team were delighted to meet up with Harlan Coben during Bouchercon 2016, held in New Orleans. The event was attended by close to 2,000 advocates of the Crime, Mystery and Thriller Genre and Chaired by the Bestselling writer Heather Graham, and Connie Perry. Harlan was one of the guests of Honour for this year’s World Crime and Mystery Convention, and lead the Mardi Gras style Opening Ceremonies, which we recorded below. 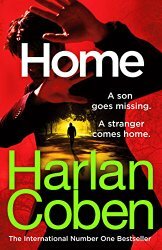 Harlan Coben is a firm favourite writer of many Shots Readers, so we were delighted to get an early read of his latest Myron Bolitar Novel “Home”, after a five year gap and out in Hardcover. 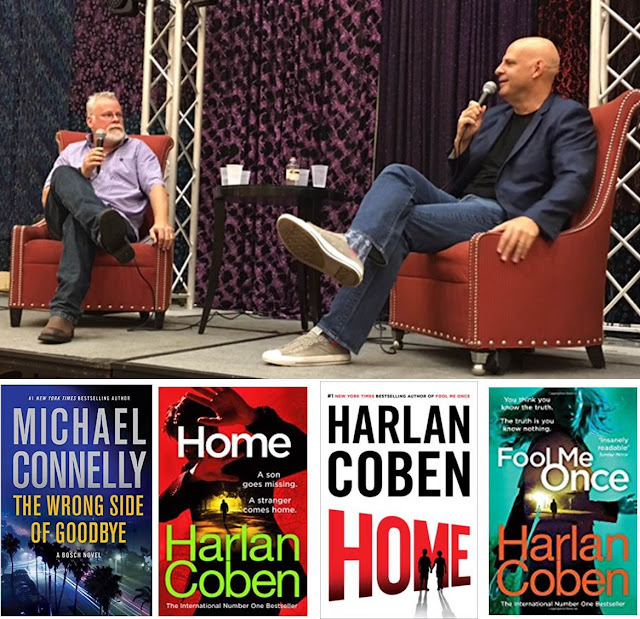 Sometimes we forget what a tremendous thriller writer Harlan Coben is; as we take it as read, that his annual releases will hit the NY Times and London Times Top Ten. So it was a delight to sample his latest offering, and one featuring his investigator Myron Bolitar, and Windsor Horne Lockwood, III [aka "Win"] – for this is one of the most riveting and thought provoking thrillers of 2016. As ever, Coben comes up with a premise that is as intriguing as it is provocative to launch this tale. Two young boys from wealthy families vanish, in what appears as an abduction-ransom that went horribly wrong. With quiet desperation, the families have waited to learn what happened to their two boys; that is, until Myron Bolitar is contacted by Win, who believes to have tracked one of the boys, Patrick Moore in London. The other of the missing boys, Rhys Baldwin is connected to Win, as he is a child of one of Win’s cousins, Brooke. However the discovery of Patrick does not shed light on the mystery of their disappearance, or the whereabouts of Rhys, instead it raises more questions as to what actually happened a decade back. The master of the domestic thriller returns, with a startling novel that evokes memories of his breakout novel ‘Tell No One’ with a narrative that is as elegant as it is engaging. The theme of War on the Fabric of Family relationships is explored, as if torn from the headlines that detail our military operations in the Middle-East; and like PTSD, what is revealed is far from pretty. We follow the tragic life of Maya Stern, retired US Military helicopter pilot and her family; though you have to follow the plot closely for the clues to the mystery are hidden in plain view. Stern, coupled with the demons of her past [from her military service] is now transformed into what we term Post-Traumatic-Stress-Disorder [PTSD]. With her infant daughter Lily, Maya has to cope with her husband Joe’s funeral. Tragedy seems striated into Maya’s life as not only has she to cope with the senseless killing of Joe, but earlier her Sister Claire was also murdered in what appeared as a home invasion gone awry, and there's the mystery surrounding her husband Joe's late brother and the wealthy and powerful family Maya married into. So to support herself and daughter she works as a Flight-Instructor, and has a Nanny-Cam, to keep watch on Lily and the child-minder while she’s working; but when she sees what appears as her dead husband on the video-feed from the Camera, she starts to question her sanity, her reality, and that of her family. Maya soon becomes paranoid and she trusts no one, especially her late Husband’s wealthy family, nor her late Sister’s husband, nor the police, nor Lily’s Nanny, and then not even herself. 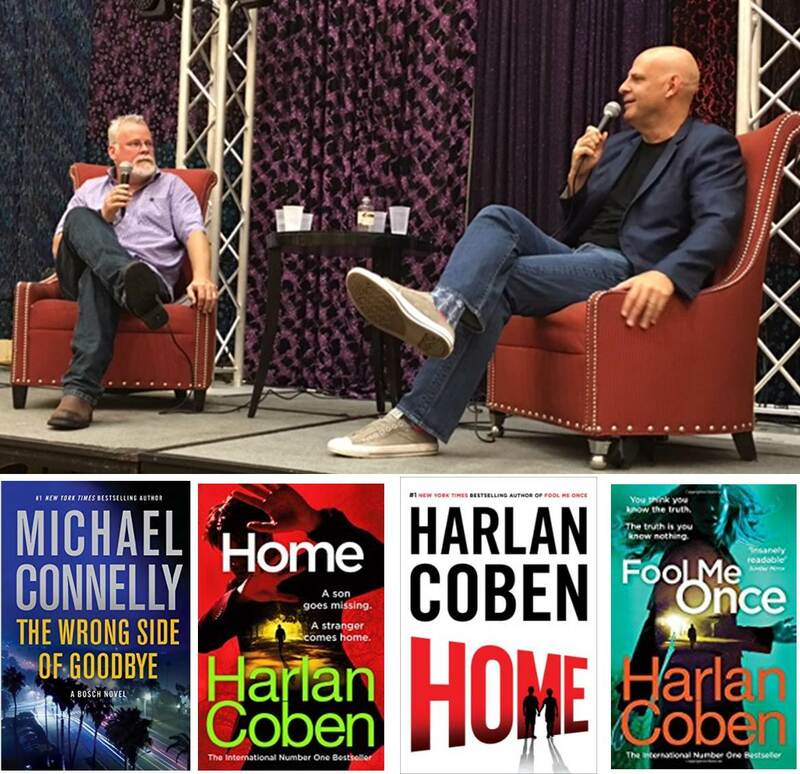 Shots Magazine would like to thank Selina Walker of Penguin Random House UK and Harlan Coben for help with this feature and the early read of “Home”.